Are you planning on traveling to Miami? If you are, then you will most likely be flying into Miami International Airport, and unless someone is meeting your flight, you'll need some form of transport to get you to wherever it is that you are going. Whether your final destination is downtown Miami, Fort Lauderdale, or even Orlando, there is a wide range of Limousine Service Miami Prices available to you. The simplest and most convenient option is usually a taxi. They are available outside of the lower arrivals area. If you have difficulty finding one, there are dispatchers located outside of every concourse that will be able to assist you. Your next best option is the Super Shuttle. The Super Shuttle picks up several passengers at a time. Its fares are per person, and are based on the distance that you will be traveling. Because most of the people that you will be sharing the ride with are probably not be going to the same place as you, it can take a little extra time to get to where you are going. So just take the weight off your feet, and enjoy the ride. Reservations are recommended, but not required. Many hotels offer airport shuttle service. 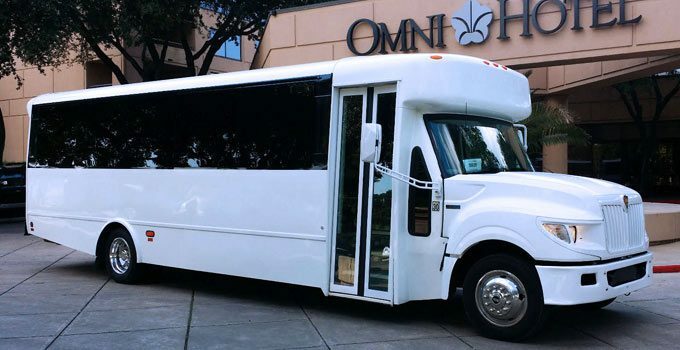 If you are staying at a hotel that does offer the service, you will find its shuttle, along with the other hotel shuttles, outside of the upper departure area. A number of companies provide private car and limousine rentals. In addition to offering cars to suit every taste and budget, their service comes complete with chauffeurs who will meet your flight, and drive you to your destination. This is an excellent alternative for those travelers continuing on to out of the way places, who don't drive or are unable to rent a car. Younger travelers often like to save money by using public transportation. Metrobus has a station outside of concourse E, right across from customs. There is also a night service that runs from midnight to six in the morning call Airport Owl. Travelers heading out to Miami Beach can hop on board the Airport Flyer. The Airport Flyer is an express bus that makes a direct run from Miami International Airport to Miami Beach, from six in the morning to eleven at night, seven days a week. It makes only one stop at Earlington Heights station along the way, from where travelers wanting to go downtown can catch the train. There are departures every thirty minutes. Another option is Tri-Rail, a commuter train operating between Miami, Fort Lauderdale and Palm Beach. The Tri-Rail Airport Station is located to the airport's east, on NW 21st Street. Bus connections are available, with Metrobus offering free shuttle service to Tri-Rail ticket holders. Car rentals are being moved to the new Rental Car Center, or RCC, located one mile east of Miami International Airport. All car rental companies that previously had desks inside the airport will now be located there, as well as many others that were located off-site. Until the completion of the automated, light-rail MIA Mover system, a shuttle service will operate between the RCC and the airport's terminals.